As some of you may know, I have committed to participating in this years Walk for Breast Cancer, the two day Avon Foundation walk raising money to help find a cure for Breast Cancer. I signed up because it seems that every few months I walk through this disease with countless friends and family who have been stricken with a diagnosis. Did you know that 1 in 8 women has a chance of developing breast cancer in their lifetime? 1 in 8...Sadly the statistic that follows that number is even worse- every 13 minutes someone (man or woman) passes away from Breast Cancer...every 13 minutes... the statistics are more than daunting- to be frank they are terrifying. More terrifying to me though was sitting back and doing nothing. It was sitting, safe in my home, praying for friends and loved ones, but being powerless to do anything. So this year I am joining my friend Jen, a two time veteran of the Avon Walk for Breast Cancer and walking almost 40 miles on May 19th and 20th here in Boston. Not only have we accepted the challenge of walking those miles, but we have both pledged to each raise almost $2,000.00 to be donated directly to the Avon Foundation. To help us reach our financial goal, we are hosting an on line bake sale, starting today. Bakers from all over the US have, out of the kindness of their hearts, committed to baking some amazing treats with no profit to themselves, and all funds raised being put toward Jen and my fundraising effots. I hope that you will all click here to view the amazing baked goods up for sale, and if something strikes your fancy, please donate- the money is going to an incredible cause and one that desperately needs funding. If you would like to donate directly, please click here. 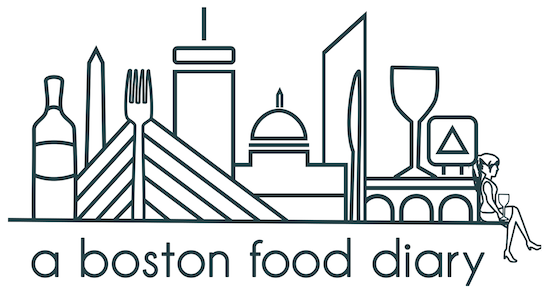 Thank you kind readers of A Boston Food Diary!